According to insider reports, Samsung Electronics the South Korea based electronics giant is currently developing a smart watch that will not have to be linked to a telephone to be used. That would in turn make the new device the only smart watch in the tech market with those capabilities from one of the major manufacturers. The new wearable from Samsung would make and receive calls independently of any smartphone, which other smart watches currently on the market cannot do. The smart watch is also to have the capability of taking photos, sending and receiving emails as well as having a GPS built in, Bluetooth and a monitor for heart rate. The new wearable will operate on the OS Tizen from Samsung that has been developed together with Intel and currently is the operating system on Samsung’s Galaxy Gear 2. Based upon the information from the sources, Samsung plans to release the new smart watch during the next few months, although it will be announced officially sometime in July. Samsung currently is negotiating with carriers of telecom in Europe, South Korea and the U.S., to carry the new device. While there is some skepticism of the new technology that is wearable, the success of the smart watch Pebble proves there is demand for these types of devices. Rumors surroundings a possible Nexus and iWatch smart watch have circulated for a number of months. 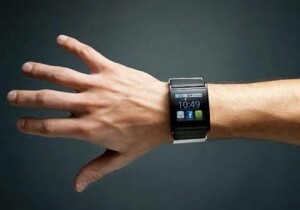 As a major competitor, Apple likely is working on its own type of smart watch. However, when it involves major corporations in the tech field, Samsung has been the leader with its Galaxy Gear that was launched along with its Note 3 and then the refined version Gear 2 and then the Gear Fit with the Galaxy S5. The new device, if the sources are to be believed, shows that the company is confident in its new Tizen OS, which has replaced the Android platform on its Gear 2 earlier in the year.